Pumpkin Bread with Caramel Glaze – AND some Superbowl Recipes! You just can’t beat the church cookbook when it comes to searching for the best recipes. We have two of them, and they’re our go-to books when we’re looking for something new, delicious, exciting or comforting. 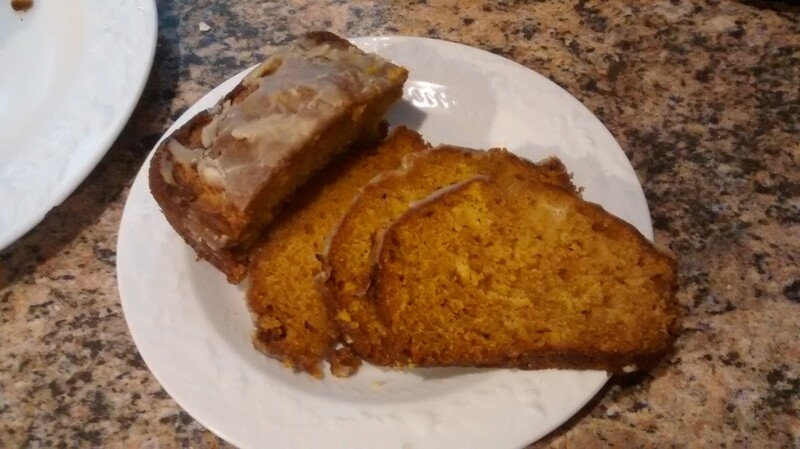 This week it was Pumpkin Bread with Caramel Glaze. And can I just say “O. M. G!”? This bread ranks right up on the top of my fave bread recipes list, right along with my Great Grandma’s Banana Bread recipe.